NEW DELHI: A study which analysed data on noise levels in seven big cities of the country came to the conclusion that finding a quiet place in these cities is next to impossible. Data from 70 monitoring stations in Delhi, Mumbai, Kolkata, Chennai, Bengaluru, Hyderabad and Lucknow was analysed for 2015. While 17 of the stations were in silence zones, 25 were located in commercial areas, 16 in residential areas and the remaining 12 in industrial areas. Interestingly, 10 of the 12 industrial sites met the ambient noise standard. On the other hand, none of the silence zones met the standard. The study, carried out by a group of researchers from CSIR-National Physical Laboratory, Delhi Technological University (DTU) and Central Pollution Control Board (CPCB), noted that monitoring stations in residential and commercial areas too did not meet the required standard during both day (6 am to 10 pm) and night-time (10 pm to 6 am). The decibel (dB) level in silence zones should not exceed 50 dB during day-time and 40 dB during night-time. 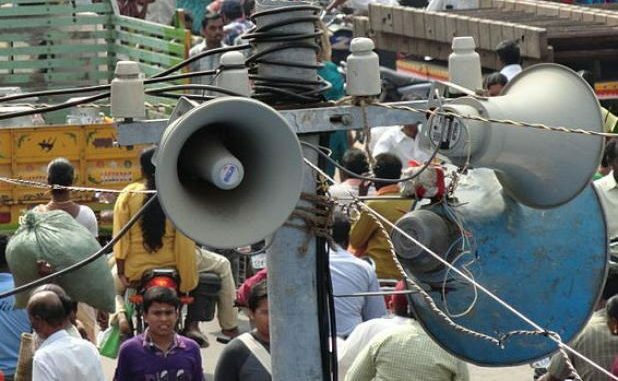 But the study, published in ‘Current Science’ (a leading interdisciplinary science journal of India), showed that noise level at these sites varied from 56 dB to as high as 77 dB in the day and from 51 dB to 75 dB at night. Under the Motor Vehicle Rules, the noise range for horns has been fixed between 93 dB and 112 dB. Exposure to sound beyond 93 dB for eight hours can cause irreversible hearing loss. The silence zones studied included Netaji Subhas Institute of Technology (NSIT), Dwarka and Mandir Marg in Delhi; Acworth Hospital in Mumbai; IT College and PGI in Lucknow; SSKM Hospital in Kolkata; R V College of Engineering in Bengaluru; Anna Nagar in Chennai and Gachibowli in Hyderabad. The study said the analysis of noise monitoring data for these sites showed that some sites immediately required a comprehensive noise abatement package to bring the noise level below the ambient standard. It recommended various control measures such as appropriate land use planning and creating buffer zones for sensitive receptors. Installation of noise barriers for hospitals, schools, colleges and old age homes; enforcement of maximum decibel level of vehicles; establishment of no-honking zones especially for residential areas and silence zones and development of poro-elastic road surfaces for traffic noise control are some of the other measures which are recommended by the scientists in the study.